This communication board is used for communication with ICU patients. 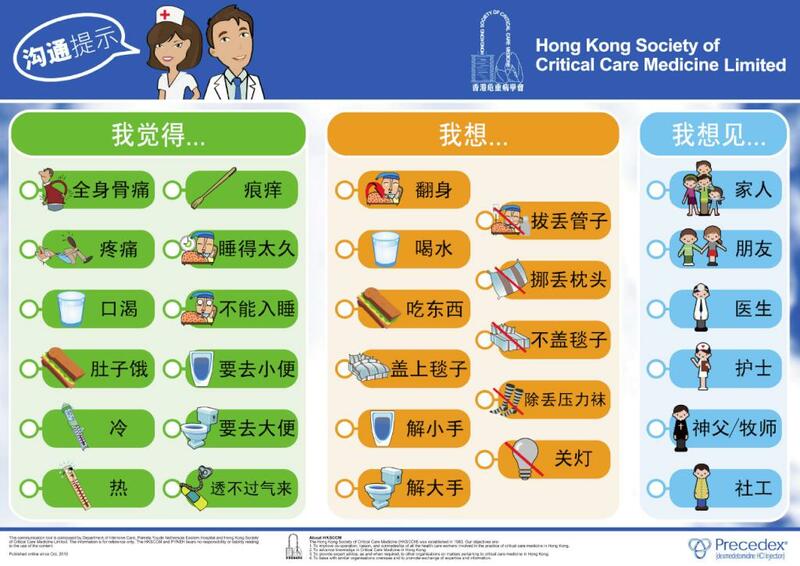 It's design is the result of the collaboration of nurses of ICU of PYNEH and Hospira, Hong Kong (acknowledgment: Ms HM So, Ms Linda Yuen). Click Read More to download the pdf version.